The Ukulele Group Class is a great way to introduce your child to instrumental lessons while working within a motivating group environment. Each lesson will involve the learning of playing techniques (strumming, picking), group and solo playing, quiet practicing, and singing. Some principles of music notation also are introduced. 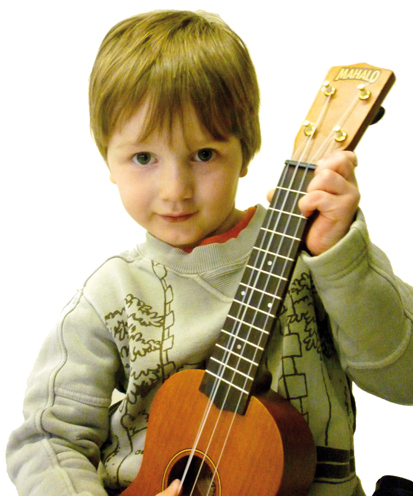 The ukulele is ideal for small hands and for beginners who may consider further studies in the guitar. For more information on Term Dates and Course Fees, please visit the Dates and Fees page of our website. For application and registration please visit the New Students page of our website.